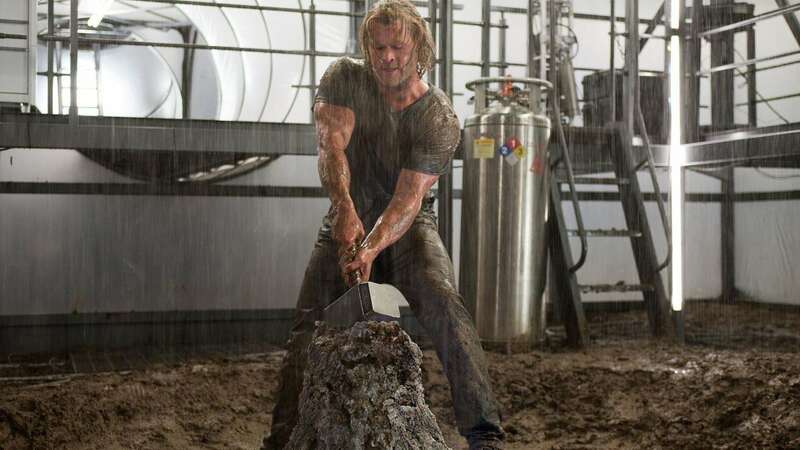 We have seen Thor using a massive hammer called as ‘Mjolnir’, pretty scary weapon which can smash anything, and yes only Thor can lift it. Marvel addicts will know the details better, but yes, someone really made that. Well, it is not that powerful that you can smash anything but you can play a nice prank and show everyone that you’re stronger than others and only you can lift it. Confusing, right? But someone literally made it possible and all the secrets can be revealed using science. The guy used fingerprint sensor which is placed on the handle of the Mjolnir, electromagnet transformer and batteries to power it up. Basically, the workling is very simple, whenever he places his finger on the fingerprint scanner it recognizes his fingerprint and cuts the power supply from the 12-volt battery. When the hammer is lying down on any iron surface, the power is on and basically, no one can lift it, but as soon as the owner touches the fingerprint scanner the power is cut off and he can easily lift the hammer. Check the video to see it in action. He also has a video guide on how to make it. Also, there is a complete guide with diagrams on how to make one for yourself here. So, try to make one and troll people.